Hey guys! Don't forget that Daryl and I are starting our Home for the Holidays series tomorrow - you won't want to miss it! On that note... here are some of my lovely sponsors for this month! Check 'em out! As always, pics are the links to their beautiful blogs! Welcome to my world. 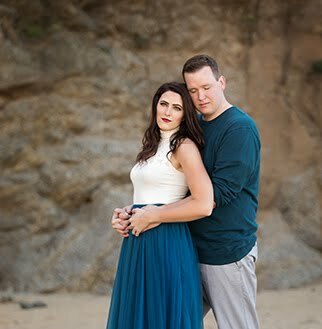 La Vita e Bella started as a place to share my wedding planning and newlywed life with friends and family around the world but has now turned into a place to share the beauty that I find in everything: Inspiration, beauty, friendship, adventures, cooking, traveling, fashion, and love. If I could go anywhere I would go back to Italy. I spent four months there with my family as a girl and it was magical. My husband's family is originally from Sicily and going back there with him would be simply incredible. Just think: the magnificent food, the sophisticated shopping, the breathtaking art, all in a language that makes me swoon. Hi! 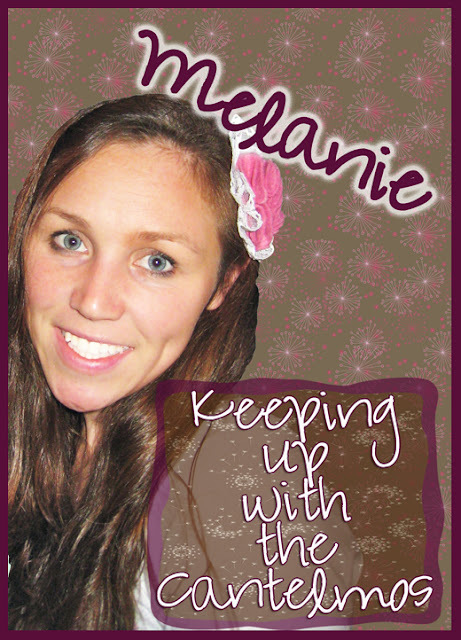 My name is Melanie Cantelmo and I have a little blog over here. I blog about faith, family, fashion, challenges, heartache, and other goodies (like when I try to do a craft like this one or a recipe like this). Come over and say hi, I love meeting new friends! I am a wife to a wonderful hard working husband, Anthony, and I am a mom of three kids and two dogs. My hubby recently lost his job. Our family is struggling, but through this hard time we have had so many blessings. I am so thankful. If I could travel anywhere, I would go to Europe. My dad was born in England, so a lot of my cousins live there. I would love to visit England and see where my grandparents grew up, met and fell in love! Then when I was done visiting Europe, I would go to France. I just love the French culture and would love to go there with my hubby. Oh wait, I would go to Italy too! Ok, I would just have to spend months in Europe exploring. That would be a dream. Hi, I'm Andi--an elementary teacher turned SAHM to two littles, wife, follower of Christ, lover of antiques and vintage treasures, crafter, wannabe photographer, and all around life-long learner. On my blog you will find my perspectives on faith, family, parenting, creating and the story of my life. I also love featuring and supporting handmade shops. 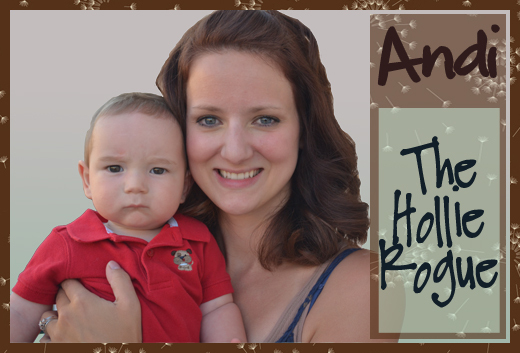 I, along with my two sisters, just opened our own Etsy shop called The Hollie Rogue Shop. Stop by and say "hello" anytime. Can't wait to meet you! 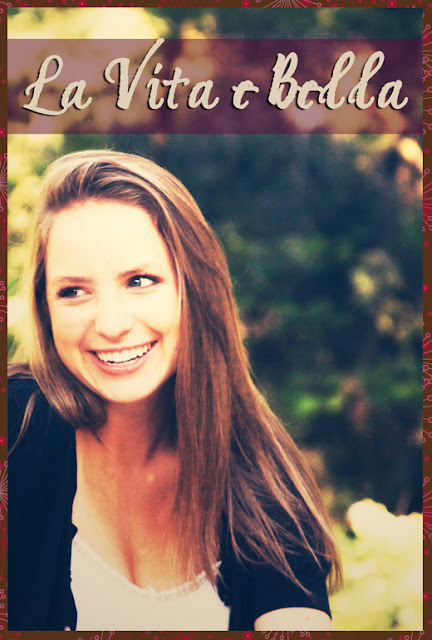 My blog is a compilation of beauty, fashion, food, and life's adventures. If I could go anywhere in the world all expenses paid I would go to the Bahamas! My blog is called Unmasked life. My blog is fairly new so it only have a couple of posts but i blog at least once a day so it should fill up really quickly! 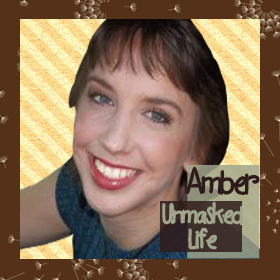 I named my blog Unmasked Life to represent God unveiling my eyes to life experiences. My blog is full of book and movie recommendations, arts and craft tutorials, photographs, life experiences (day to day), shout outs to websites and bloggers. In all it has a little bit of everything. Please check it out! I am hoping to open an etsy shop and make a facebook page those should be up shortly! If I could travel anywhere in the world I would travel to Africa. Not quite sure where exactly but probably South Africa. I would love to go there and serve the people and take lots of photographs. I would journal everyday. I think it would be so much fun to play with the children. In highschool I sponsered a young girl, Esther, who lived in Malawi, Africa. It was so cool to get mail from her. I often think about her and would love to see her again. So, in short I would travel to Malawi, Africa to see Esther. There you have it! Get to clickety-clickin'. Happy Monday! love what you did with the pictures we sent you - so cute. thanks for doing this!